Creative resumes are no longer exclusive to the artistic industry. Putting extra attention and care into creating resumes is always a good way to improve your chances of being considered for a position—or at least to get that interview in the first place. While not all of us have the skills or the luxury of time to draft unique resumes, here are a few tips you may consider to get your foot in the door with a simpler resume. Research the Company and its Culture. In this day and age, it gets easier to work your network. Why not take advantage of it? If there is an opportunity to do so, find a way to make yourself more familiar with the company. This means taking a step away from your comfort zone and moving forward to getting yourself known. Put your internet skills to good use. Google the company for the latest news about them, check their social media pages and website. Maybe you know someone who used to be an employee and whose name can give your application a boost. 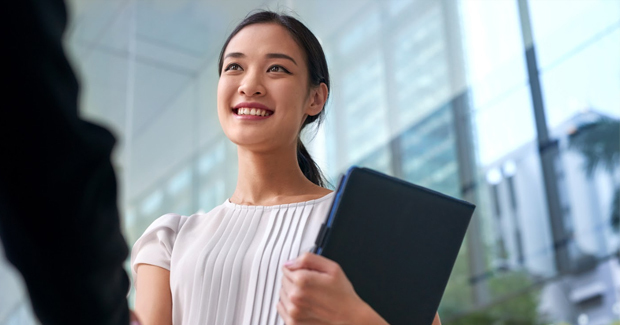 There are many things that better the chances of landing an interview and being knowledgeable about the company you want to work for are one of them. Remember and Personalize the Cover Letter. On average, hiring managers spend between 6-10 seconds reviewing a resume. In such a case, the best way for you to grab their attention is with a cover letter. Whether you use the standard email form or you get to the next level with a YouTube video bio, never forget to give a brief summary of your qualifications and your motivation in applying. Also explain how you can be a good asset to the company, match your cover letter to the job even if it means speaking their language. The point is to keep it personalized! As it is common practice to stalk your potential employer, there is a 99.8% chance that the employer will also stalk you, too. This does not mean that you have to delete or fake your Instagram and LinkedIn profiles. In fact, you can use this opportunity to be more eye-catching—in your profile photo or your bio. For those applying for creative positions, it is an added bonus to have an online website or portfolio. There are a few, free website builders you can check out like Wix, Squarespace, and WordPress! When it comes to stating your experience and work history on your resume, there are three rules: keep it (1) recent, (2) relevant, and (3) simple. Remember, hiring managers to spend a few seconds on a resume. Make it count by highlighting only the skills and results-focused experiences that cater to the position that you are applying for. Lay everything out in a way that is easy to read because the rest can be discussed further in the interview anyway. Need help with the format? 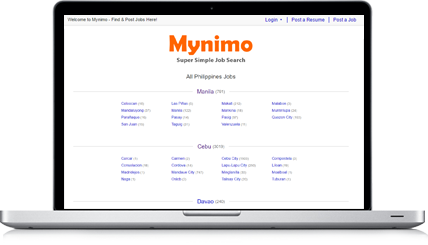 use Mynimo’s super simple resume builder at https://www.mynimo.com/resumes/post. If you are sure that you are a good candidate for the position but have not received any feedback a little before or after the application closing date, put in a bit of extra effort by checking in with a polite call. Start by confirming if they have received your resume and be prepared with answers just in case they ask why you are applying. Genuine determination won’t hurt. By investing time mastering these tips that are sure to spruce up your resume, we are positive that you’ll increase your chances of getting that interview. Good luck and Happy Career Hunting!